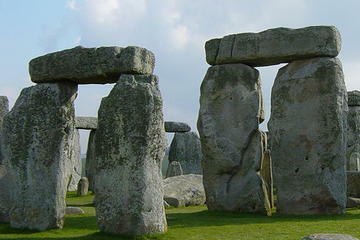 Perfect for independent travelers, this self-led Stonehenge tour includes round-trip transit and entry. Select your preferred departure time, and join up with your air-conditioned coach in central London. Then, sit back and relax as you set off on your approximately 2-hour drive to Stonehenge. Rising from vast Salisbury Plain, this spectacular ancient monument dates back some 4,500 years. Listed as a UNESCO World Heritage site in 1986, it centers on a ring of giant standing stones and is generally believed to have served as a prehistoric temple that marked out the movements of the sun, although its purpose is still wreathed in conjecture. On arrival at Stonehenge, collect your included entrance tickets and audio-guide, and enjoy ample free time to explore the Stonehenge site and visitor center, whose facilities include exhibitions and a café, as you wish. Perhaps ride the visitor shuttle or follow walkways to the monument to view it close up. Marvel at this prehistoric masterpiece, and meander around the perimeter as you ponder how the stones were transported here, and then raised and used. Stroll around the visitor center to learn how and why Stonehenge was built through the cutting-edge audiovisuals and stunning collections of ancient exhibits, including stone axes and burial treasures. Be sure, too, to view the replica Neolithic houses to discover how the Neolithic peoples of the area lived and worked. After nearly two hours of exploring, reconvene with your coach and relax on your ride back to London. Your trip then ends with a drop-off at the original starting point. Our driver B (sp?) was very nice and gave great instructions. The tricky part was finding where to meet the bus. We were to meet at the Victoria Station but where the voucher stated was not where we met the bus. B was an awesome driver. Trip was great and I had a wonderful experience! Stonehenge was beautiful!! I read reviews prior to booking for knew what to expect. 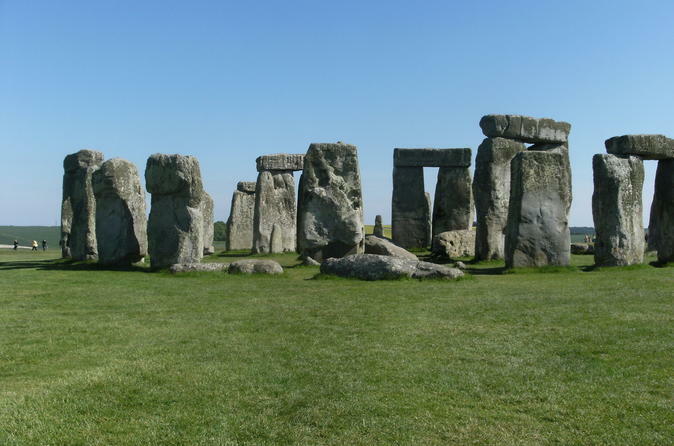 Wish audio recording at Stonehenge was available- but our driver said they were out of them. Driver was very friendly and kind. When busy and only 2 hours there take the shuttlebus... we did not have enough time to even check out the gift shop and we did not spend excess time viewing the stones. We had a great ride to Stonehenge with Carl. He was very funny and navigated the streets on London with ease. If your short on time but want to see Stonehenge this is a great option. Hop on the bus and go! The weather was cold and rainy. But the driver was friendly and made the long trip enjoyable. The stone audio tour was very informative. Great job in taking guests to Stonehenge! I think it was a wonderful trip, comfortable and it was great to do someone else do the driving. However, I think it wasn't enough time to thoroughly enjoy the area. It was a little rushed, and I didn't even have time to go into the museum. I was sad to leave. I wish I would've taken a picnic lunch to enjoy. We booked the half day tour; 2 hour drive to/from Stonehenge and 2hours to visit. Once arrived at Stonehenge, it took us 45minutes to get to the stones due to the crowds. The Stonehenge buses were poorly ran and there were not enough to transport visitors. We took only 15minutes to take pictures at the Stones then ran back to the bus line to make sure we would get back to our bus in time. We had no time to look at visitors shop or buy any food/drink. Our bus driver told everyone what time to be back. Even though not everyone was back, we did leave because he had to stay on schedule, which I understand, and he did even leave 7minutes later than expected. About 25min into our drive he states we have to turn around to pick up people who missed the bus because there are no other buses available. I do blame the selfish people who took their time despite being told what time we were leaving. I can't believe the tour company couldn't send some other vehicle at that point. We were very frustrated, hungry and hot. The air conditioning on the bus would shut off if the doors opened or the bus was turned off. Stonehenge was poorly managed for the crowds they had that day and I am very disappointed my family and I couldn't experience more.